Issa Suffy, Program Officer for the Alliance for Peace and Human Rights (far right, facing camera), delivers human rights training in Kurdistan. Kurdistan is a geo-cultural region covering parts of Turkey, northern Iraq, parts of Iran and northern Syria. In the midst of the turmoil of Iraqi Kurdistan is Issa Suffy, a Program Officer and Trainer for the Alliance for Peace and Human Rights organization and member of the United Nations Assistance Mission. 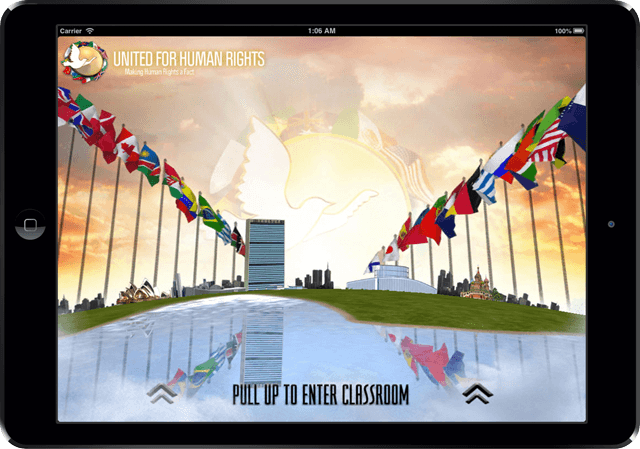 When Issa discovered the United for Human Rights materials, he found just what he needed to teach his people about the Universal Declaration of Human Rights (UDHR). 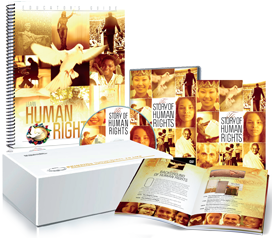 In his work he teams up with the UN Human Rights Office, UNICEF and UNOPS (United Nations Office for Project Services) to integrate the human rights principles into Kurdish society. When asked what motivates him to tackle this subject he says, “My work is motivated by the fact that I live in Iraq and since I was born I have witnessed three wars that make me ask myself, ‘What are the reasons for all this violence, and how can we stop it?’ One of the situations I want to handle through human rights education is the fact that recognizing and accepting differences in a very complicated society like Iraqi society—which is full of different ethnic and religious groups—is not part of our culture.